Some of the many taxes you pay are deductible from income for your IRS return. 1. Do I Get a Refund on Social Security Taxes That Are Withheld? When you earn money from working, your employer withholds a portion of your paycheck for various taxes, including federal income taxes, state incomes taxes and payroll taxes. The Social Security payroll tax rate equals 7.65 percent as of 2018. You can’t claim any income tax benefit for the Social Security taxes withheld, though the Social Security taxes withheld determine your Social Security benefits in retirement. However, if you had too much withheld, you may be entitled to a credit on your tax return. Although you are able to withhold your Social Security taxes, you cannot claim them as a deduction on your tax return. Each year, the Social Security tax only applies to a certain amount of income. For example, in 2017, the Social Security wage base is $127,200, meaning the maximum you should have withheld in Social Security taxes for the year is $7,886. If you make more than that, your employer should stop withholding for Social Security taxes. If you have only one employer that withheld too much, you must go to that employer and request they refund the difference. However, if you have multiple employers that when combined withheld too much, you can claim credit for the excess withholding on your taxes. For example, say you earn $110,000 at your main job and $50,000 at your second job, you’ll have too much withheld overall. You can claim a tax credit on line 71 of Form 1040 when you file your taxes to get that extra money back. When you’re self-employed, you don’t have an employer that pays a portion of your income to the IRS to cover taxes for you, so technically your Social Security taxes aren’t withheld. However, you can deduct the employer-portion of the Social Security taxes you pay. As of 2018, the employer portion of the tax is 7.65 percent or half of the total Social Security taxes paid on self-employment income. You can claim this deduction as an adjustment to income on your income tax return, which means you can claim the deduction even if you don’t itemize your deductions. 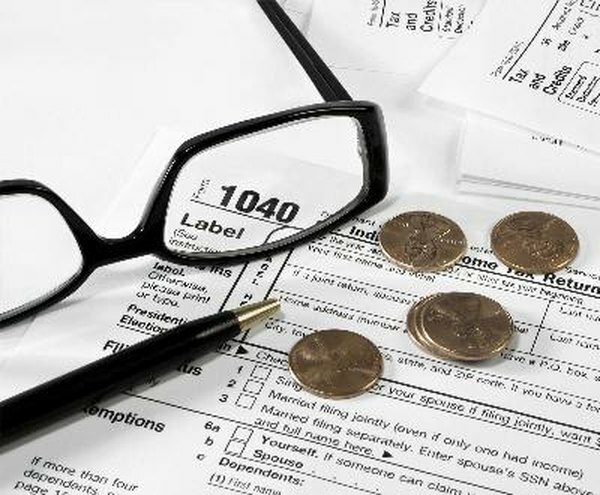 The IRS does allow you to deduct certain types of other taxes on your tax return. As of 2018, you can deduct up to $10,000 in state and local taxes. You can deduct either state and local income taxes or sales taxes. You can also deduct state and local real estate taxes and personal property taxes. However, to claim those deductions, you must itemize your deductions and give up the standard deduction. Do Pretax Deductions Reduce Taxable Income?